Vascure Natural Cellular Energy SupportTM supplements are a combination regime of 100% all-natural pharmaceutical-grade supplements. This combination has been shown to help patients suffering from a medical condition known as Mitral Valve Prolapse, as well as other heart-related issues. Mitochondria require each of the supplements to generate ATP. While CoQ10 and L-carnitine are fundamental to the ATP recycling process, D-ribose is necessary for de novo ATP synthesis. Metaphorically, D-ribose helps fill the body’s gas tank while L-carnitine and CoQ10 help the body convert fuel to energy. Literally, D-ribose is a structural component of the ATP molecule, and L-carnitine and CoQ10 help recycle ATP by transporting fatty acids across mitochondrial membranes and shuttling electrons back and forth between enzymes, respectively. Co-Q10 then acts as an antioxidant to protect mitochondrial membranes from free-radical damage. Like a spark plug central to both processes, magnesium“turns on” the enzymes that drive the entire metabolic reaction. Lipoic Acid is considered to be among the elite, multipurpose antioxidants and has been variously called "the universal antioxidant" or the "ideal oxidant". You can think of lipoic acid as a kind of "wild card" antioxidant. Evidence shows that even if you are not getting enough vitamin C or E, for example, lipoic acid supplements can make up at least part of the deficit. Lipoic acid is considered a conditionally vital antioxidant nutrient. Specifically, the body makes some of its own lipoic acid, but we still need to get most of it form external sources, either from food, such as meat, or supplements. Our ability to make lipoic acid does decline with age. The supplemental use of lipoic acid is expected to have huge impacts on health in the future. Almost any portion of the body can use increased levels of lipoic acid. Vascure Natural’s proprietary blend will also help individuals who could benefit from an increase in energy*. It is an effective ingredient in the fight against weight gain*, speed muscle recovery*, and lowering cholesterol*. *The statements made have not been evaluated by the FDA. This product is not intended to diagnose, treat,cure or prevent any disease. Please see your doctor before taking this or any other dietary supplement. The latest addition to the Vascure Natural product line is the Cellular Energy SupportTM dietary supplement. This supplement is composed of D-Ribose, L-Carnitine, Magnesium Citrate, CoQ10, and Alpha Lipoic Acid. The combination of these ingredients not only support heart health in terms of energy and function, but have also been proven to lower cholesterol, help against weight gain, increase muscle relaxation and recovery, and decrease fatigue. 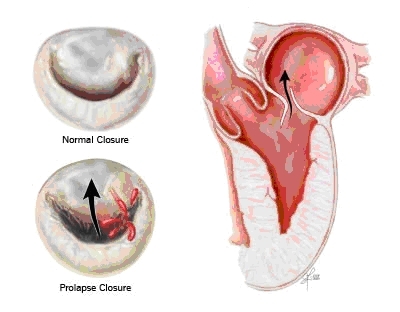 These advantages are especially beneficial to those who are diagnosed with Mitral Valve Prolapse, a myxomatous valve disease with which patients experience a mild to severe leaky valve. The supplement can also aid those with Cardiomyopathy, a disease of the heart muscles. Suggested Use: As a dietary supplement, adults take four(4) capsules daily with meals or as directed by a health care professional. Magnesium is a cofactor involved in the activation of over 300 enzymes in the body, along with facilitating the production of ATP. Functions of magnesium are numerous, including nerve function, blood vessel constriction, wound healing, muscle strength and endurance, normal heart rhythm, increased HDL cholesterol, synthesis and oxidation or fatty acids, and reduced tooth decay risk. Carnitine is produced in your liver, kidneys, and brains using lysine and methionine. Carnitine production is impacted by levels of lysine, methionine, iron, niacin, vitamin B6, and vitamin C. Functions of L-Carnitine include energizing the heart, conversion of fat into energy, decreased LDL cholesterol, transport of fatty acids, reduced triglycerides and increased HDL cholesterol levels. L-Carnitine also helps to recycle ATP. Coenzyme Q10 is a fat-soluble nutrient made by almost all your body tissues. As you age your body’s production of coenzyme Q10 decreases. Functions of coenzyme Q10 include vitamin E regeneration, reduced blood pressure, production of ATP, and decreased risk for blood clots. Alpha Lipoic Acid is a powerful antioxidant and anti-inflammatory agent which is both fat and water soluble. It is crucial in the production of cellular energy and helps to neutralize and reduce damage caused by free radicals. Alpha Lipoic Acid is often used to help diabetic patients who suffer from peripheral neuropathy by helping to improve their symptoms of pain, burning, numbness, tingling, and itching commonly associated with this disease. ALA supports immune function and increases blood flow. D-Ribose is produced by the heart, skeletal muscle, brain, and nerve tissue, but only at levels great enough to meet their day to day normal needs. When the body becomes stressed or compromised these systems are not able to adequately increase their production of D-ribose to meet demands. Functions of D-ribose include prevention of congestive heart failure, reduced free radical production (i.e. antioxidant), and replenish ATP stores. Cardiomyopathy refers to diseases of the heart muscle. These diseases have a variety of causes, symptoms, and treatments. As cardiomyopathy worsens, the heart becomes weaker. It's less able to pump blood through the body and maintain a normal electrical rhythm. This can lead to heart failure or arrhythmia. In turn, heart failure can cause fluid to build up in the lungs, ankles, feet, legs, or abdomen. The weakening of the heart also can cause other severe complications, such as heart valve problems. The different types of the disease have different causes, signs and symptoms, and outcomes. Cardiomyopathy can be acquired or inherited. "Acquired" means you aren't born with the disease but you develop it due to another disease, condition, or factor. "Inherited" means your parents passed the gene for the disease on to you. In many cases, the cause of cardiomyopathy isn't known. Cardiomyopathy can affect people of all ages. However, certain age groups are more likely to have certain types of cardiomyopathy. This document focuses on cardiomyopathy in adults. Some people who have cardiomyopathy have no signs or symptoms and need no treatment. For other people, the disease develops rapidly, symptoms are severe, and serious complications occur. "As I sit here, enjoying my 88th birthday, I find myself being extremely thankful this special day for being introduced to Dr. Scott Eisenberg almost 6 years ago - in May of 2010. My son, Lloyd brought me to Dr. Frank Alario on May 24th, 2010 - the day after I flew in from my home in Florida to visit the family in New Jersey. Dr. Alario took one look at my ankles, which were swollen and listened to my heart. He picked his head up and told me that he wanted me to see his cardiologist immediately. My reply was, if he’s good for you, then please make the appointment for me… and Dr. Alario did. That same day - I saw Doctor “Scott”. I had been living in Delray Beach, Florida and been seeing doctors and cardiologists, however, unbeknownst to me, I was suffering from heart failure and failing fast. Dr. Eisenberg asked me about my history and I told him that I had a mio cardial infraction in 1986 and in 1992 I had a quadruple bypass and endarterectomy. I told him that the surgery took place at Christiana Hospital in Delaware in 1992. Within one hour, Dr. Eisenberg had gathered all of the available information – my history at Christiana. I stayed in his office while he did the research. Dr. Eisenberg then asked me if I had a catheterization since my surgery in 1992 – (19 years ago) and I said No. Within a week, Dr. Eisenberg preformed a catheterization on me and a defibrillator was placed in my chest. The news was not good. Dr. Scott found that two of my 19 year old bypasses were “shot” they were 100% closed and the other two were at 65% and 70%. My injection fraction was dangerously low at 27%. No wonder I was so short of breath and my ankles were so swollen. Dr. Eisenberg stressed that within ten years of any by-pass, a catheterization should be preformed to monitor plaque buildup. No Florida doctor had ever told me that before!!! Dr. Eisenberg’s electro physiologist was unable to implant a pacemaker during that catheterization / defibrillator procedure at Jersey Shore as time was ticking that day and my 83 year old anatomy did not support the electrical connection. One year later, I was feeling much better that I had prior to the / defibrillator procedure. Within that year, Dr. Eisenberg saw me monthly. He added Vascure Natural - Cellular Energy Support. At that time my injection fraction was just 27%. Dr. Eisenberg monitored my blood, my weight; fine tuned my meds and had me seeing Eileen at Jersey Shore Hospital’s excellent Heart Failure Center as well. In June of 2011, Dr. Eisenberg sincerely believed that I was a candidate for the “Rolls Royce” pacemaker defibrillator and suggested that I go to New York City to Columbia Presbyterian Hospital. He referred me to Dr. Whang, an electro physiologist, who successfully implanted the new device in Sept of 2011. It has now been almost five years since that procedure. I feel so much better. I was able to walk much further after combination of the pacemaker defibrillator and the daily addition of the Vascure Natural - Cellular Energy Support -- without being out of breath. I sleep less during the day. I am more alert when I am awake. I have been singing in the choir again. I am enjoying my family and friends and been active again with the JWV. I would like to dance once more – the way I used to…. Maybe at my granddaughters wedding – eight weeks from now. Thank you, Doctor Scott. You gave me a new life and a renewed spirit. You directed me to Vascure Natural - Cellular Energy Support, which has helped me become reenergized and raise my heart injection fraction from 27% to 33% of the 50% maximum due to my two 100% clogged bypasses. Your profound knowledge of the heart and accurate evaluation of my symptoms coupled with your actions and referral to Dr. Whang has been my game changer. I have much to be thankful for and you are at the top of my list."